The army reforms of the great general Marius around 100 BC saw the Roman soldiers expected to carry most of their own gear so they were nicknamed "Marius's Mules". A contubernium of eight soldiers and two auxiliary "servants" shared a tent, and they had a single pack-mule to carry the tent and the cooking equipment. 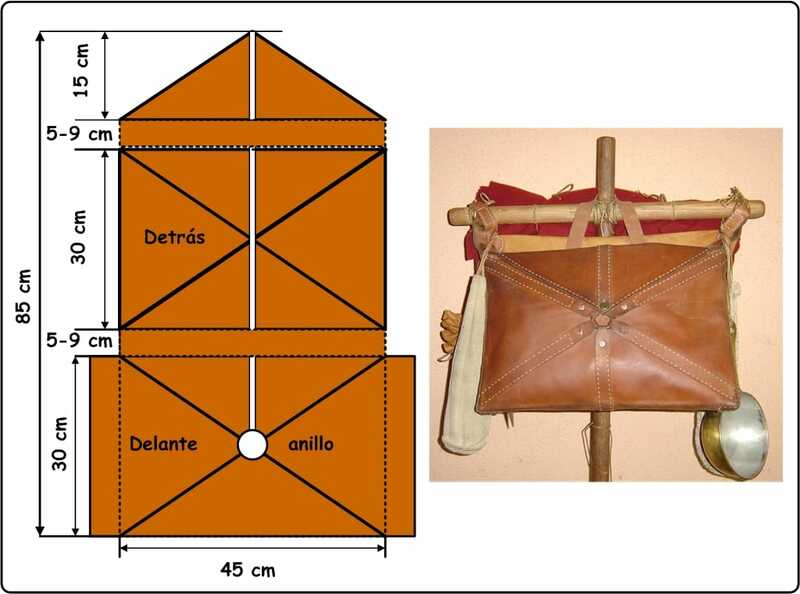 The soldier carried a furca, a 4 ft long pole with a T-shape formed by a crossbar. The pack (a leather bag) was strapped to the crossbar. 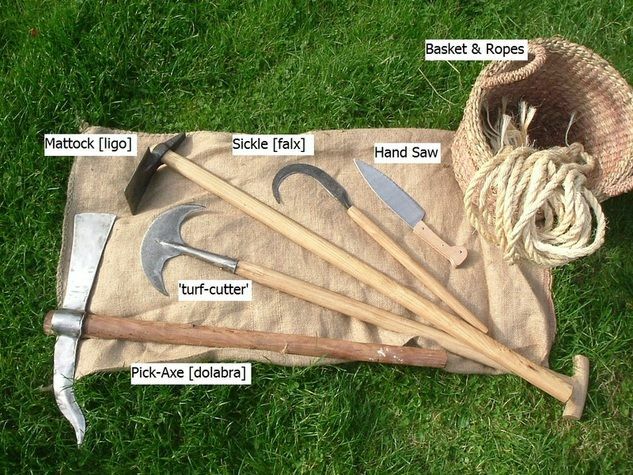 His digging-tool was the dolabra, which got a lot more use than his sword did! 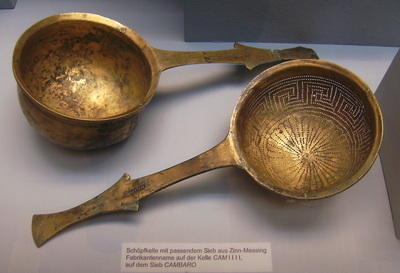 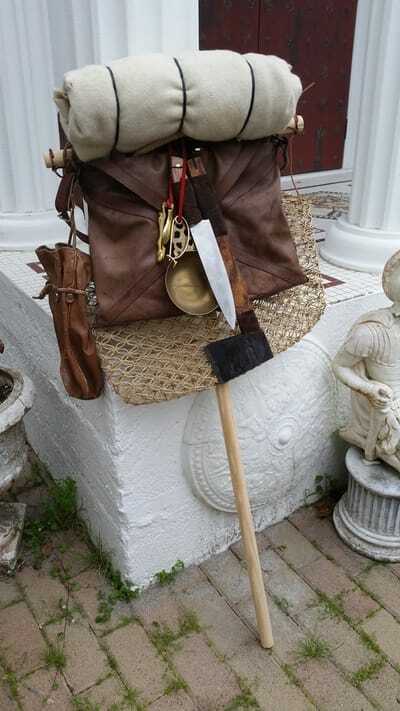 He carried a bronze patera (an all-purpose cup, cooking pot and food bowl), and a water-flask. 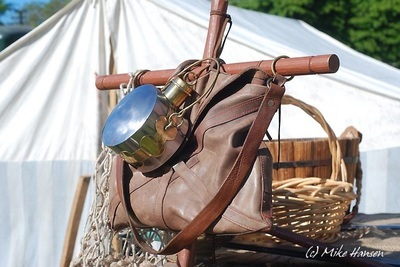 Sometimes a hollowed-out gourd with a wax-stopper made a lightweight water-flask, carried in a string net. 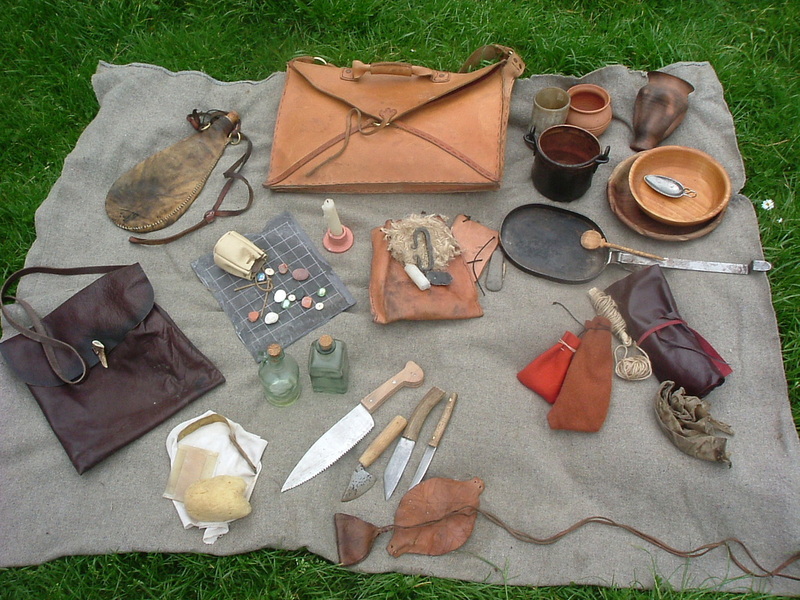 He also carried several days food-rations, including buccellatum, a dried hardtack that could last for years. The Roman handbag was a leather loculum ("little-place") of the design below. 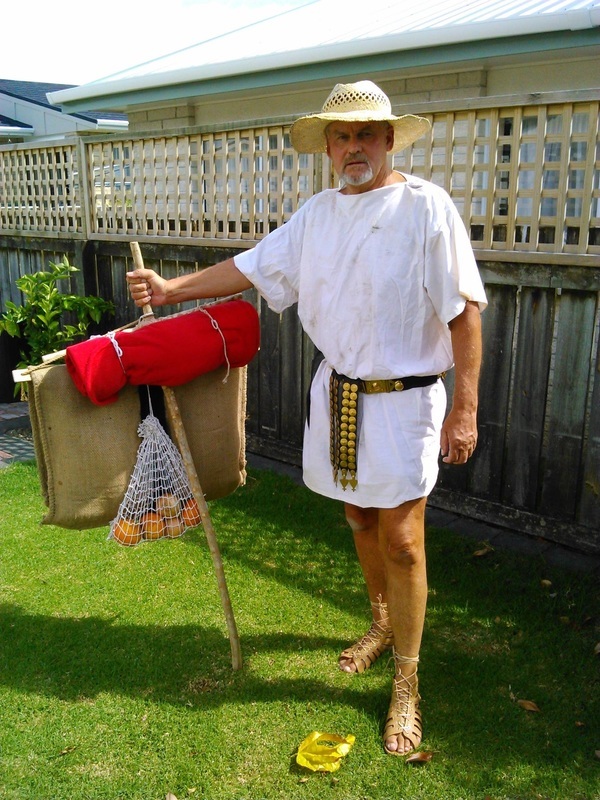 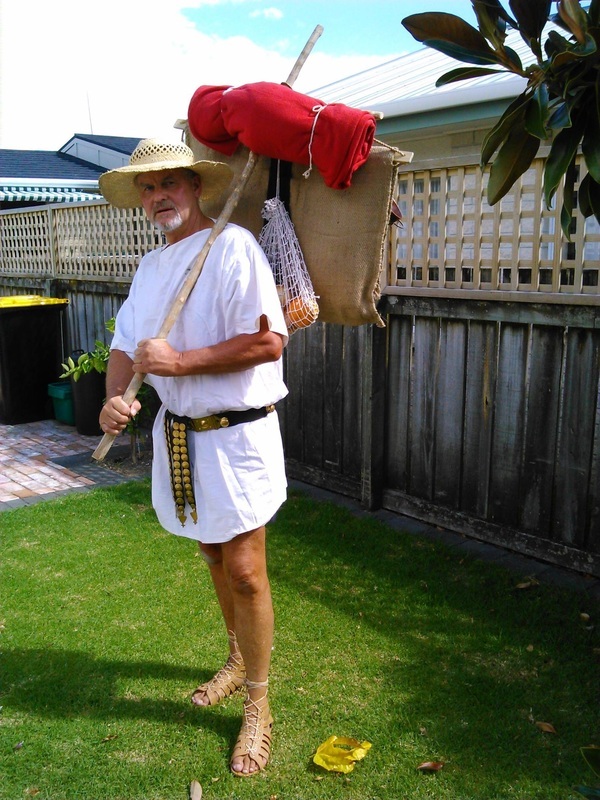 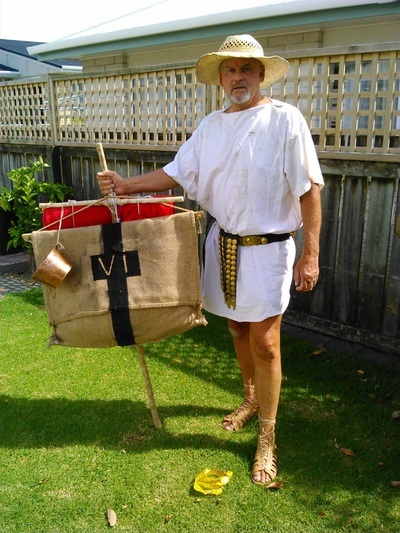 ​Below, our legionary Marius Dacius displays his marching pack of the VI Ferrata.